Walking in Freedom! – LET'S WALK IN FREEDOM TOGETHER & IMPACT THE WORLD! 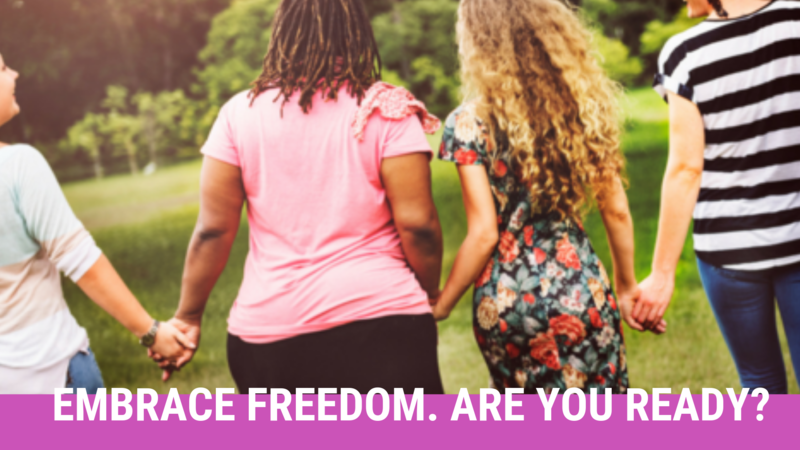 ARE YOU READY TO EMBRACE YOUR FREEDOM? Have you had the opportunity to meet Jesus? Has He become your personal Savior? If not, here’s your chance. May I introduce you to someone who already knows you? Meet Jesus. He loves you and cares about you. He knows all your issues. He knows all about your struggles, and He knows all about you. God knows you. Not only does He know all about you, but He loves you deeply. He proved His love for you by dying on the cross. He displayed His love for you to the entire world. Why? Well, in Genesis 3, Adam (along with Eve) chose to disobey God, and his defiance brought sin into the world, causing separation between the Creator and creation. And because of one person’s bad decision to disobey God, all of mankind was affected. You and I were born into sin. We’re sinful people from the time of our birth (Ps. 51:5). when it should have been us (Isa. 53). He died for our sins, but on the third day, God raised Him from the dead. And now, Jesus is sitting at the right hand of the Father, making intercessions for all who have received Him as Savior (Rom. 8:34; Heb. 7:25). Beloved, I offer Christ to you. If you haven’t had a chance to receive Christ, today is your day. Today is the right day to receive eternal life. The time is now. Receive salvation and forgiveness from our merciful heavenly Father. All you have to do is believe. Believe that Jesus is the Christ, the anointed one. Believe He is God’s holy Son who came to save you from your sins (John 3:16; Acts 16:31). Earnestly, ask Jesus into your heart. Ask Him to forgive you of all your sins and cleanse you with His holy blood. And He will. Unlike Satan who speaks nothing but lies, Jesus speaks nothing but the truth. You shall know the truth, and the truth shall make you free (John 8:32). Your freedom journey can begin right now. Father, I acknowledge you as the only true, living God. I’ve sinned against you and I need your forgiveness. I need you in my life. I believe Jesus is your son who came to save me. I believe Jesus died on the cross and arose on the third day. I believe He is alive now and is sitting at the right hand of the Father. I accept Jesus as my Lord and Savior. I surrender my will and my life over to you. Thank you for coming into my heart, for forgiving me, and for giving me eternal life. Help me to live a life that’s pleasing to you. in your new life with Christ, enjoy the journey that the Savior brings. This journey will lead you into a new season in your life, a fresh you. Challenges fill the Christian life. This new life in Christ will be difficult at times, but rely on Jesus. While you’re on this Christian journey, you might stumble. You might get off track, but get back up and keep moving forward. Trust and depend on Him. The Holy Spirit will be your comforter and guide, and God’s Holy Word, the Bible, will be your road map. As you move forward with Christ, rejoice in the new life Christ gives freely to those who come to Him. If today is your first day becoming a believer, I’m excited for you and rejoice with you. Feel free to contact our ministry. We would love to celebrate and pray with you. During your quiet time, meditate on today’s scripture and give glory to God. Walk in freedom celebrating your new life in Christ. Use these to help you draw closer to God and grow deeper in His Word. Adapted from Walking in Freedom! A Thirty-Day Devotional Journey for Women, by Rhovonda L. Brown, co-founder and co-pastor of The Sanctuary Christian Fellowship Church, Inc. Founder and executive director for Martha & Mary Ministries, Walking in Freedom! ™ All rights reserved.